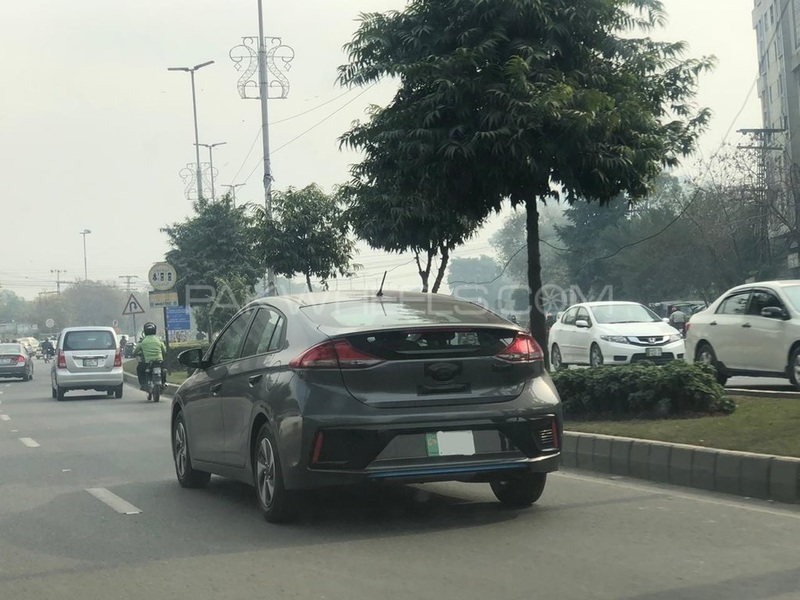 Hyundai Ioniq has been spotted in Lahore, once again. 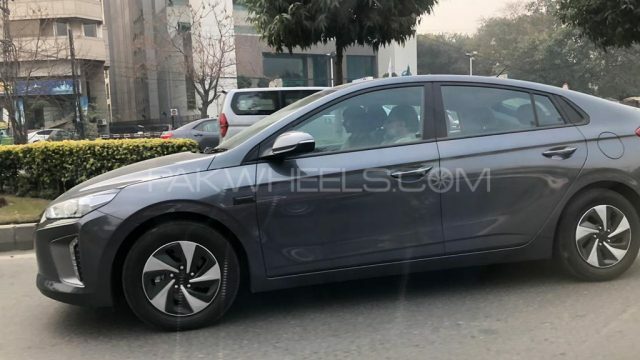 Right after the news that Hyundai is coming to Pakistan, a long debate started regarding the cars Hyundai will launch in Pakistan. 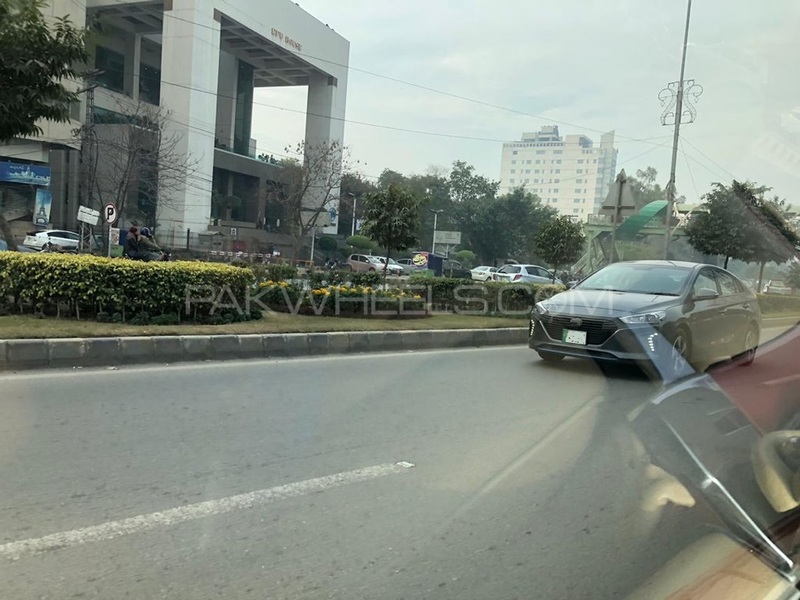 In the groundbreaking ceremony, Hyundai Nishat displayed its cars which included Hyundai Tucson, Hyundai H-1 (van), Hyundai H-100 (pickup), so it was assumed that these vehicles might be the first one to be launched by Hyundai-Nishat in Pakistan. 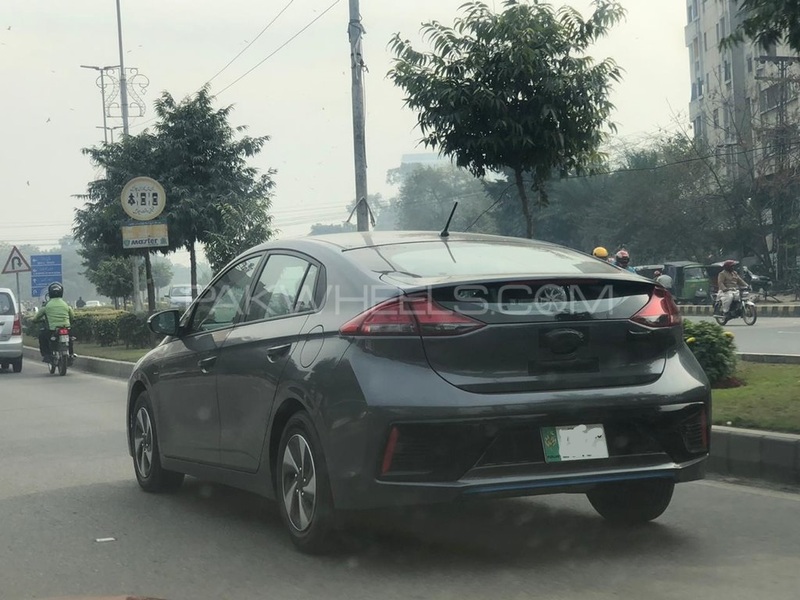 However, Hyundai Ioniq has been spotted multiple times in Lahore, so it seems that the company might ship Ioniq in Pakistan. Hyundai Ioniq is available in different countries across the globe including America, Canada, South Korea, and our neighbouring country India. The car comes in three different options; hybrid, plug-in hybrid and electric. The car is a compact five-door hatchback. The hybrid version was launched in its home market in February 2016, followed by the electric model in July 2016 and after that plug-in hybrid was released in 2017. Ioniq Hybrid is part of the car family that comes under Ioniq nameplate. 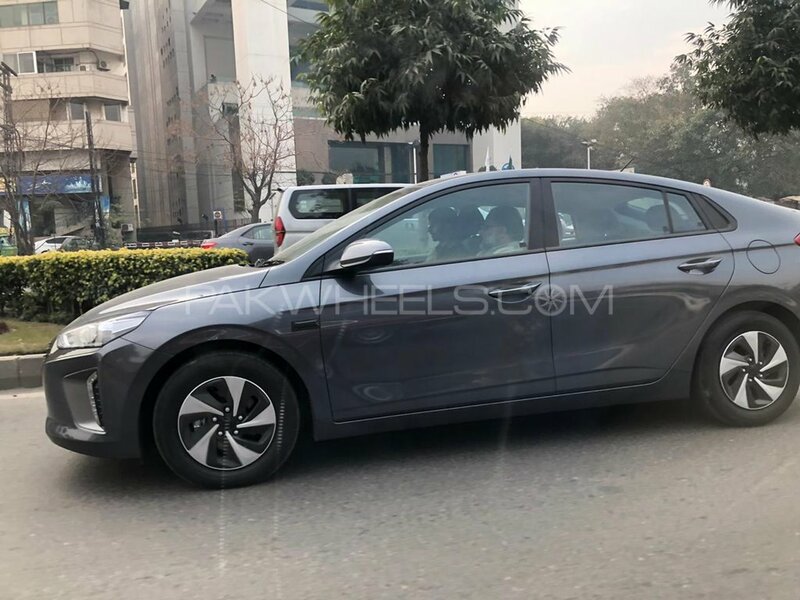 Internationally, the hatchback comes with 1.6L Naturally Aspirated Atkinson-Cycle Inline-4 engine coupled with a 6-speed dual clutch transmission that makes 104 hp and 265 Nm of torque, due to it being a hybrid, the electric motor adds more hp and both the engine and electric motor produce 139 HP combined. It is important to note here that the US EPA rates the Ioniq at 54 MPG (22.9 km/l) ahead of the Prius’s 53 MPG (22.5 km/l). Now coming to the other option, which this car gives and that is Hyundai Electric. The electric motor of the car makes 118 hp and 291 Nm of torque. It is a direct competitor of Nissan Leaf, Chevrolet Bolt EV, Volkswagen e-Golf, Kia Soul EV and the Tesla Model 3. Note that Ioniq electric has no engine to cool, so a front intake is not required. The car can be charged up to 80% in just 33 minutes at 50 kW or in 24 minutes at 100 kW with a fast charging station. 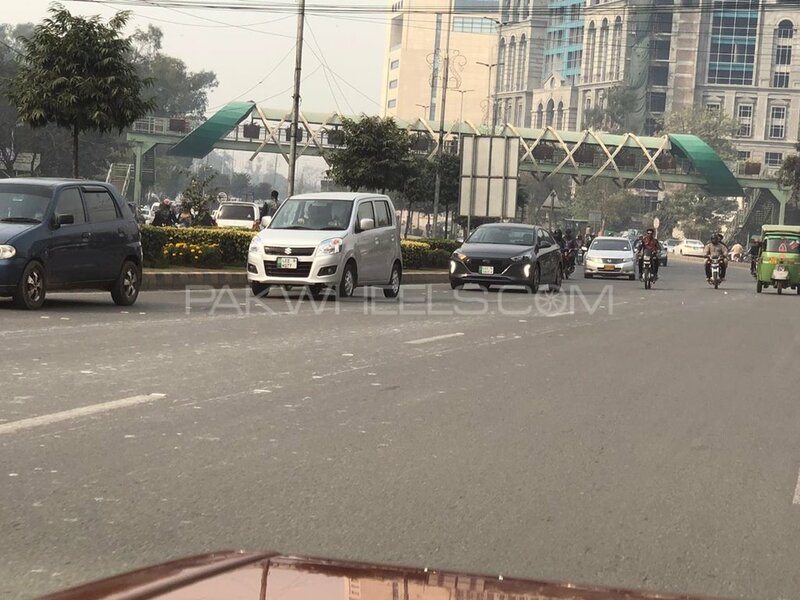 Read More: United Bravo spotted – Check it out! South Korean automotive behemoth, Hyundai, again entered in Pakistan under the name of Hyundai Nishat Motor Private Limited (“HNMPL”). The project is being set up as a joint venture between Nishat Group Companies and one of the leading trading and investment houses of Japan M/S, Sojitz Corporation. This multi-million dollar project cost is going to attract a sizeable portion of its equity from foreign channels. Hyundai Motor Company from South Korea will be the technology partner in the Project. 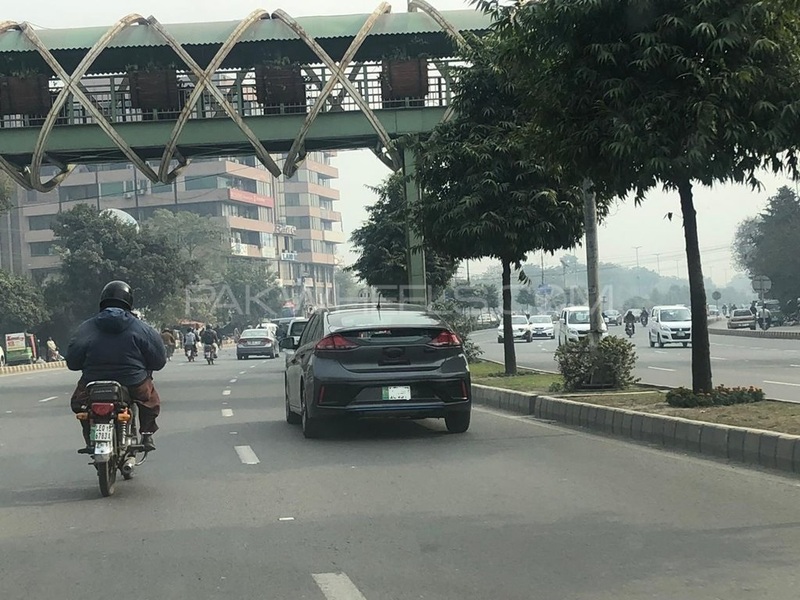 HNMPL is a greenfield investment, which is setting up a car assembly plant for Hyundai brand vehicles including cars and light commercial vehicles in M3 Industrial City, Faisalabad. The plant will achieve an annual production capacity of up to 30,000 units per annum. 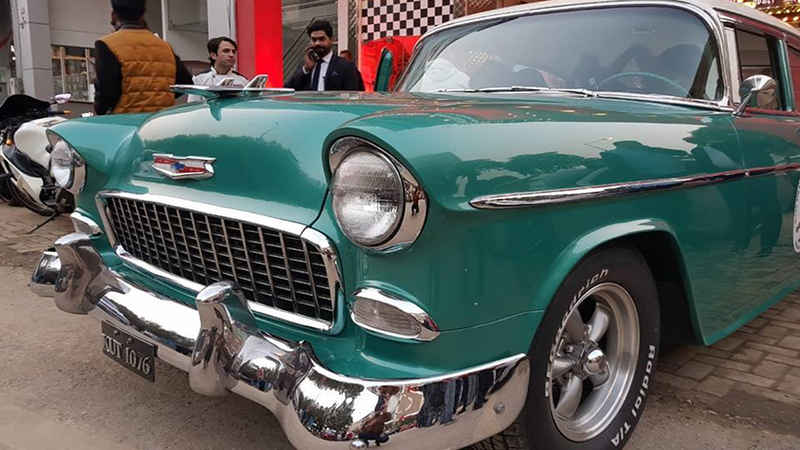 For more automotive news and reviews, stay tuned to PakWheels.com. Price, Price, Price. Price will determine it's fate. 104hp from 1.6L engine isn't it too low for a 1.6? I guess since it was supposed to be used in a Hybrid configuration(which has a combined total of 139hp). it's perfectly fine. For reference, the 1.8 engine in a Prius only makes around 96hp (134hp combined).